My name is Krzysztof Lis, I’m 28 years old. I am MSc in mechanical engineering, finished Warsaw University of Technology, Faculty of Power and Aeronautical Engineering. This blog is about my journey to off-grid living in Poland, a small country in Central Europe. At this moment I have a small plot of land with plum orchard where I will locate my autonomous house. 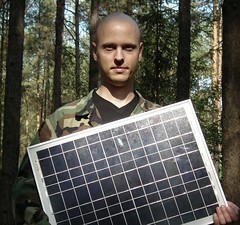 I will post here my ideas, inspirations, videos recorded on site, and other useful information about off-grid systems. You can follow me on Twitter or reach me using e-mail (krzlis[a]gmail.com).